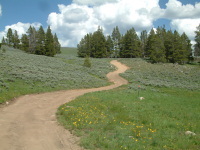 EXPERIENCE WYOMING'S NORTHERN BIG HORN MOUNTAINS! Mountains along Scenic Byway Hwy 14 near BURGESS JUNCTION. See the beauty and meet the locals. 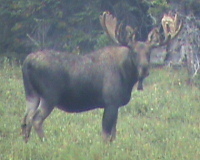 of the majestic Bighorn National Forest. 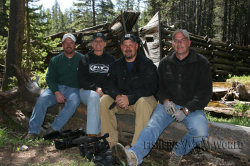 We would like to thank Brian Fisher and his crew from Fisher's ATV World for visiting the Big Horns and Elk View Inn. We spent a week of fun and adventure together. After a day on the mountain, come back to the comfort of our hotel. Relax in the hot tub, take a dip in the pool or enjoy a cocktail before dinner. "In four days, we packed in as much as possible. If you're looking for an awesome get away, you need to check out Elk View Inn, formerly The Passage Resort, in Northern Wyoming. It was by far our best trip yet! We invite you to stop by Elk View Inn and find out what's new. Our Staff, look forward to welcoming you and helping make your stay a memorable experience. Yes, we DO sell ORV Registrations on site. Fishing Licenses and Watercraft Registrations are sold at BEAR LODGE 5600 US14A ( approximately 2 miles from Elk View Inn ).